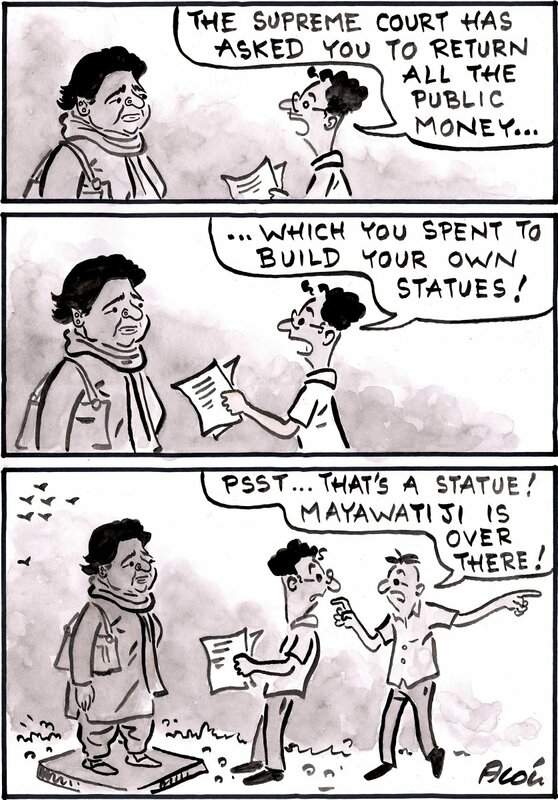 With the Supreme Court order to BSP chief Mayawati to refund the money she spent from public funds to install statues of her party symbol during her term as chief minister, Alok illustrates a common man mistaking one such statue for the former CM herself. 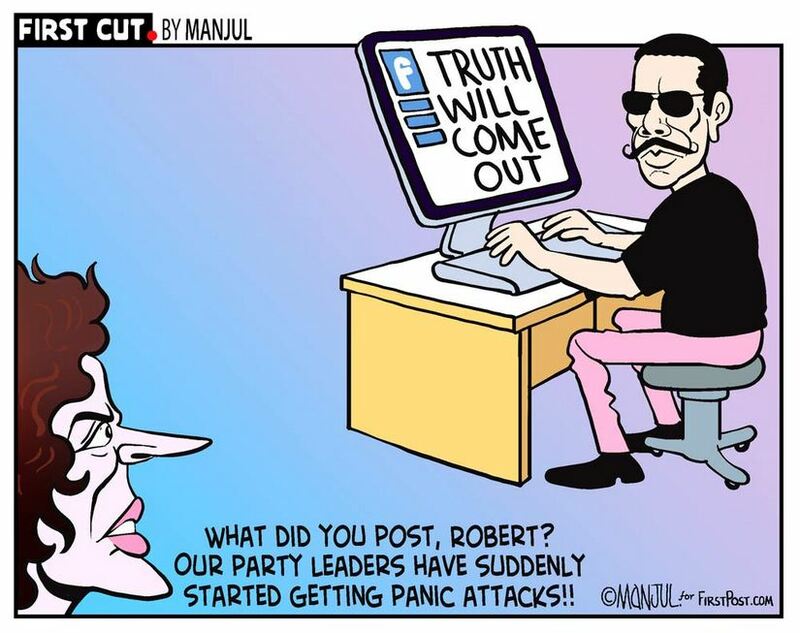 Following businessman Robert Vadra’s social media post after his interrogation by the Enforcement Directorate over money laundering charges, Manjul alludes to a fear among other Congress members over what might tumble out of the closet. 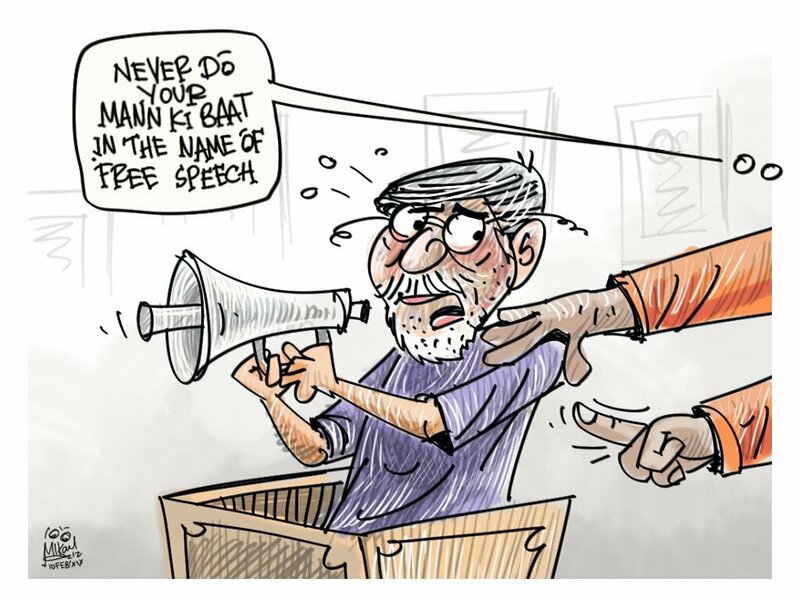 Mika Aziz takes a potshot at Modi government’s idea of freedom of speech after veteran artist Amol Palekar was forced to stop midway while delivering a speech at an NGMA event in Mumbai where he sought to criticise the culture ministry’s policies. 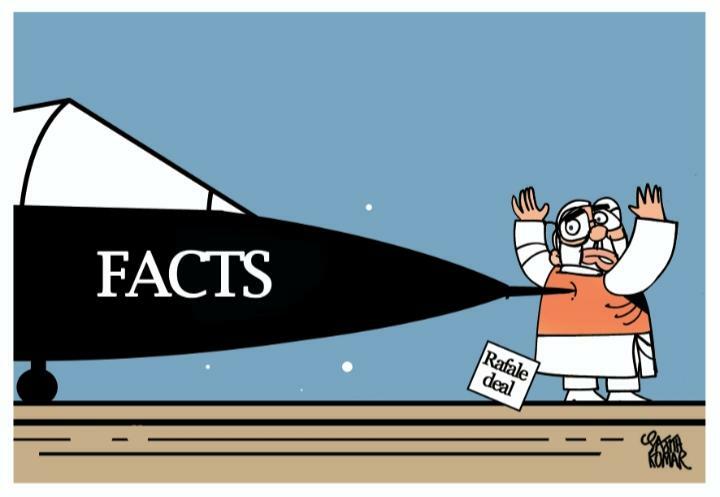 Nala Ponnappa takes a jibe at the recent statement of former Karnataka CM and BJP state chief B.S. 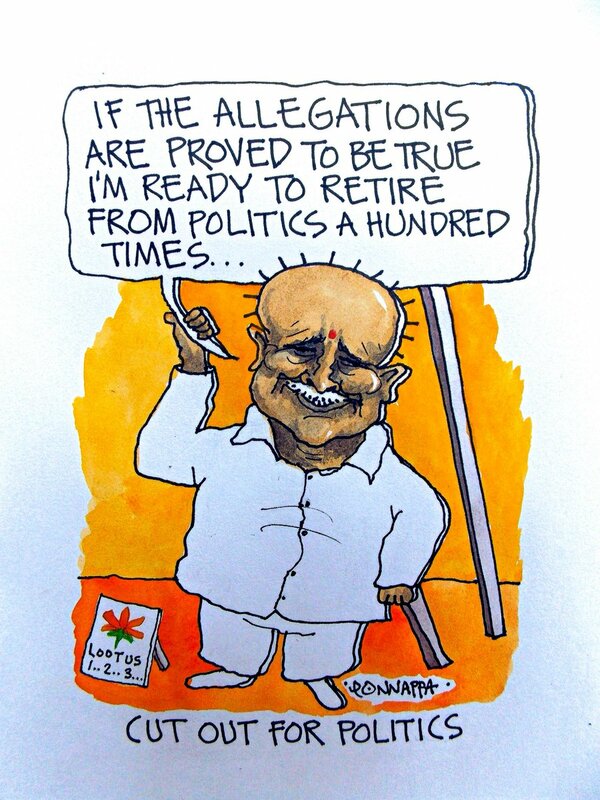 Yeddyurappa, who is facing allegations of corruption and MLA poaching. 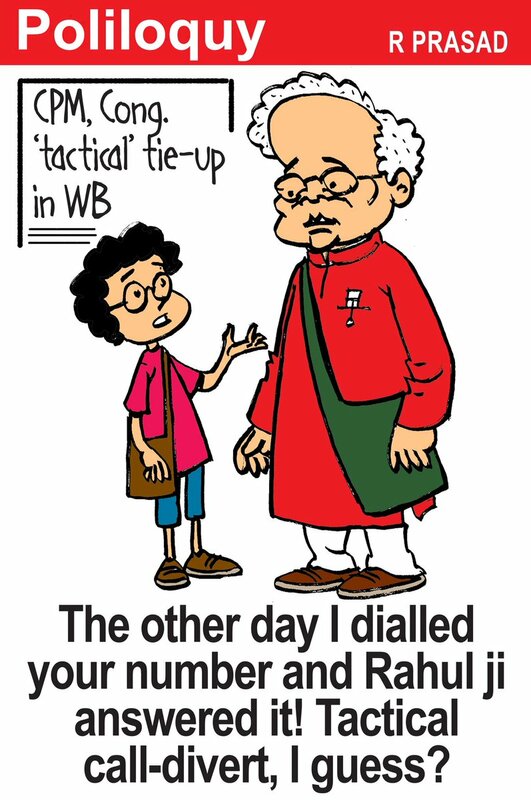 R. Prasad takes a dig at the tactical alliance between CPI(M) and Congress in West Bengal ahead of the Lok Sabha elections due in April-May. 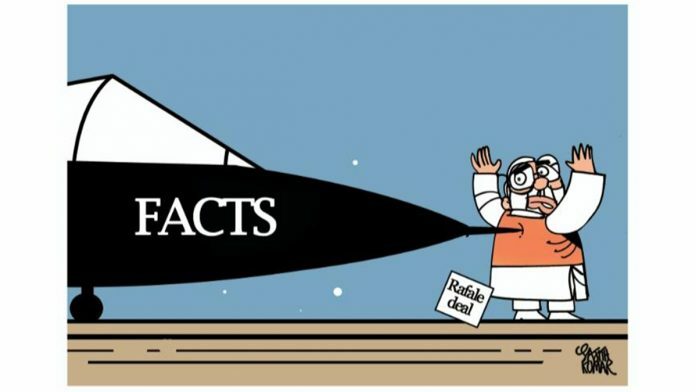 After ‘The Hindu’ published a report revealing the PMO’s ‘parallel negotiations’ with the French government over the Rafale deal, Sajith Kumar illustrates the fighter jet sharply nudging at Prime Minister Narendra Modi.